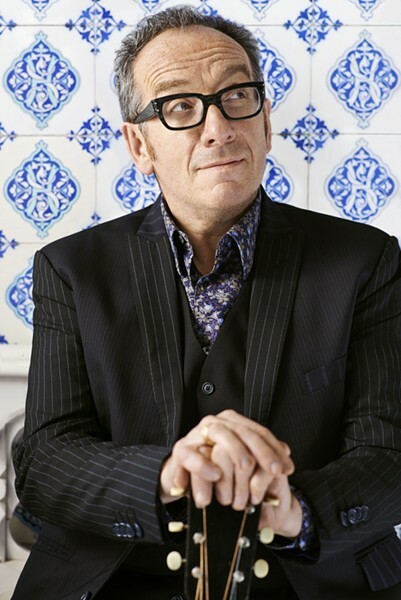 Elvis Costello should be lauded for his bravery. His packed show at CMAC Saturday night had the man unapologetically taking chances. He showcased a lot of material from his 1982 album "Imperial Bedroom" to a crowd that sat through it waiting for the hits. "Imperial Bedroom" is classic Costello -- though the melodies are a bit illusive, even for the rabid Costello fan. Saturday night, his lineup was stripped down to guitar, bass, drums, keys, and two female back-up singers who stole the show when accompanying Costello on a jazzy take of "Alison." Costello also took on all of the guitar duties -- this is where the bravery comes in as it was rough in spots, genius in others, and brilliant over all. The hits came cascading thunderously toward the end, and I finally got to hear "Pump It Up" in a discerning, album-accurate time signature. It was a loose non-stop blast -- at just over two hours -- with the on screen, pulp fiction montage one of the coolest things I've seen in a while.